When I reflect back on my career choices, I have no regrets. The path I took is very different than I thought it would be, but it is the right path for me, and flexibility has been a core theme throughout. When I was in college, I saw myself as a broadcast journalist, but I never worked directly in that field. Instead, I chose to start my career as an executive assistant at a large Fortune 500 company knowing that I’d have countless growth opportunities and could be near family. It was at this large company where I met a female mentor who influenced a pivotal change in my career direction. I accepted a position in Information Technology and I enrolled in a 9/80 program where I worked 80 hours in a nine day span and had every other Friday off. I loved this arrangement, especially when I went into labor with my firstborn on one of my scheduled 9/80 days off! After my maternity leave, I returned to work in a job share with a fellow employee. My co-worker and I had presented our written proposal to our management team prior to my leave, and it was accepted. Even better: I still enjoyed the health benefits of a full-time employee by working a minimum of 24 hours a week. While working this part-time schedule, I also signed up to be a consultant for a direct sales scrapbooking company. Initially, I was just looking for a chance to enjoy all my supplies at cost, but then I realized that if I applied myself to this home party business, I could stay home during the day with my daughter. For a few years I continued with my part-time job and also grew my personal business on the side. After returning from a leadership convention, I had a memorable conversation with my husband about leaving my corporate job and focusing exclusively on my scrapbooking business from my home office. Together we comprised a plan where I was able to retire from my corporate job six months later. When both of my children were in elementary school and their activity calendars started building, teaching scrapbooking on nights and weekends became harder to sustain. At that point, I opted to pivot and started substitute teaching at my children’s school in order to share their schedule. I became a popular substitute at their school and I was working five days a week, but the money wasn’t close to what I could make working part-time in my IT field. On a whim, I reached out to a former boss who had moved on to another IT company to see if there was a part-time position available. Within a week, I was working part-time for a software company. Then when my husband suddenly lost his job, I arranged to work full-time for this same company. As my responsibilities—and business travel—increased, I started missing my kids’ sporting events and evening family time. Again, a sign for me that it was time to make a change. My new objective was to find a position with no travel and only a short commute so that I could easily run carpools and get to after school activities. But then my focus shifted from my kids to my aging parents. In early 2014, both of my parents’ health rapidly declined and I made countless six hour road trips back and forth to their home to help. Members of my family and I rotated care for approximately six months. While my mom was recovering, my dad was hospitalized. He fought to live but passed away in early August 2014. While grieving and making arrangements for dad, we had to also make long term care plans for mom. Mom now lives near me and two of my brothers in an assisted living community. She needs help with all areas of her life, especially when she has to leave her apartment for an appointment or family event. Living the life of a sandwich generation mom who is caring for children at home and an aging parent while balancing a career, marriage, and household responsibilities is tough. Hours of the day are split, sliced, and diced so that everyone gets a piece of you. 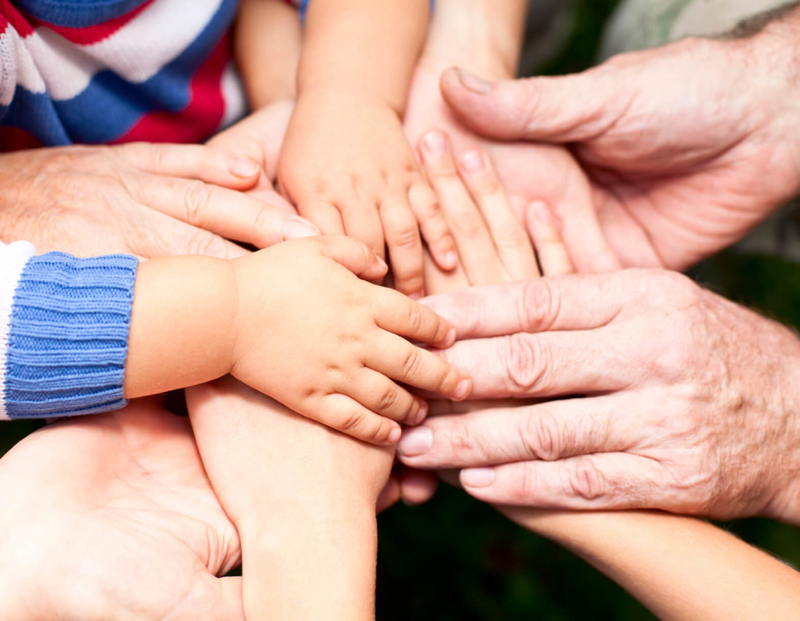 The ‘on demand’ needs from children and aging parents frequently impacts the standard workday. I’m grateful that I work for an employer that understands that I will certainly get my work done and do it well but that I need the freedom to put first things first. Elizabeth Miller is the writer for Happy Health Caregiver, a lifestyle blog that teaches and encourages family caregivers to prioritize their own mental and physical health while caring for others. She dreams of growing her blog into a profitable online business so that she can realize her dream of 100% flexibility.